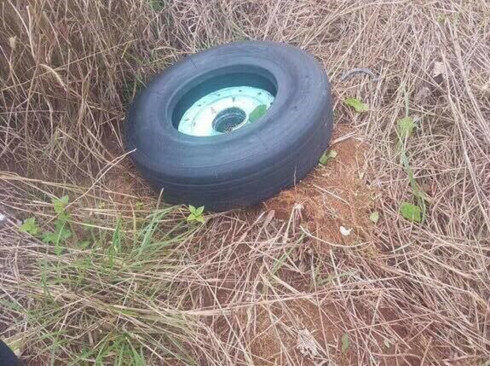 One of the two nose wheels of a Vietjet Air plane encountering a landing problem at Buon Ma Thuot Airport, the Central Highlands province of Dak Lak, was found on November 30 morning. Director of the Civil Aviation Authority of Vietnam (CAAV) Dinh Viet Thang confirmed the information, noting that the aircraft has been towed to the apron safely. The runway has also been repaired and re-opened, he added. Flight VJ356 of Vietjet Air from Ho Chi Minh City encountered a landing problem at Buon Ma Thuot Airport at 11:03pm of November 29. Its nose wheels remained in place after touching the runway, but later they burst while the aircraft was still moving. The landing gear without wheels ploughed the surface of the runway, causing some light damage. The plane managed to come to a safe halt, the CAAV said, adding that the cabin crew carried out emergency procedures to help all the 207 passengers get out. Some passengers suffering from minor injuries were immediately rushed to a nearby hospital for examination. They have been discharged in stable condition. The A321 plane performing the flight is new and was put into operation on November 15. Thang said the CAAV will work with relevant agencies, particularly the plane maker, to find out the cause of this incident.